Go ahead, check out www.brianmuenzenmeyer.com/patternlab/public/index.html, the public Pattern Lab instance used to create the site you are now on. Go check out the Pattern Lab Node repository on Github for more information, like how to install. Full documentation can be found there and at http://patternlab.io. In this article I detail the configuration that makes this Jekyll site work alongside Pattern Lab Node, and then be easily deployed to Github Pages. 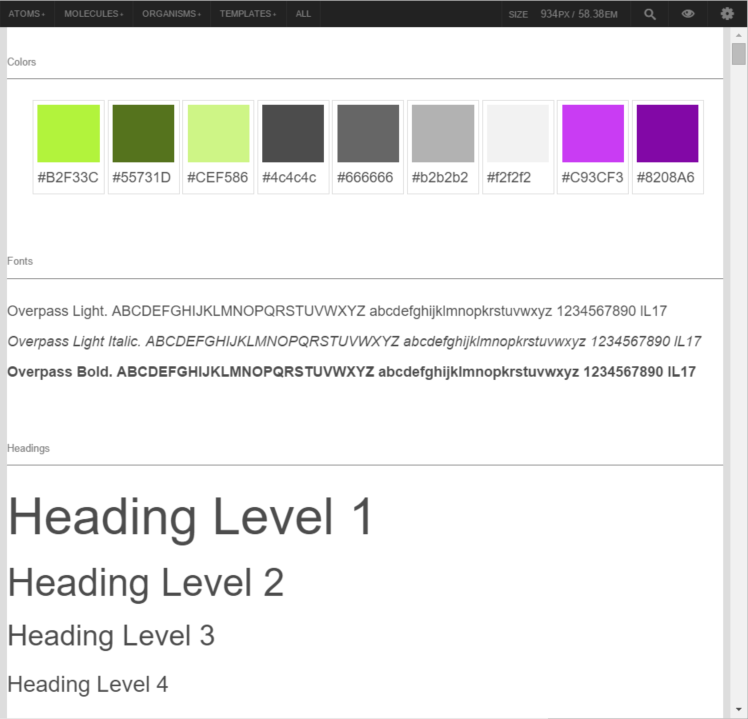 An alternative style guide navigation developed and open-sourced at Roydan. Since Pattern Lab v1.1.0 you may more easily add Pattern Lab as a dependency in your workflow. I created some reference repositories for grunt and gulp toolchains that illustrate this concept. Hope it is useful to you.